Watch our presentations by selecting the links below. Each video will open in a new window. Sir Alan Langlands, Vice Chancellor, University of Leeds. Professor Chris Atkin CEng FRAes, Chairman, Engineering Council. John Uff CBE QC FREng, Keating Chambers and Emeritus Professor of Engineering Law at King’s College London. Richard Maudslay CBE FREng, Chairman, Ethics Working Group, Royal Academy of Engineering. Dr Rob Lawlor, Inter-Disciplinary Ethics Applied Centre, University of Leeds. Dame Judith Hackitt DBE FREng FIChemE FCGI, Chair, Independent Review of Building and Fire Safety Regulations. Professor Raffaella Ocone FREng FRSE, Professor of Chemical Engineering, Heriot Watt University. Professor Kevin Jones FIMarEST FBCS FIET, Executive Dean, Faculty of Science and Engineering, University of Plymouth. Renaud Champion, Director of Emerging Intelligences, EMLyon Business School; CEO of PRIMNEXT, investment company in artificial intelligence and advanced robotics and Director of euRobotics. Sara Parkin OBE, Founder-Director and Trustee, Forum for the Future. Dr Carl Fox, Inter-Disciplinary Ethics Applied Centre, University of Leeds. 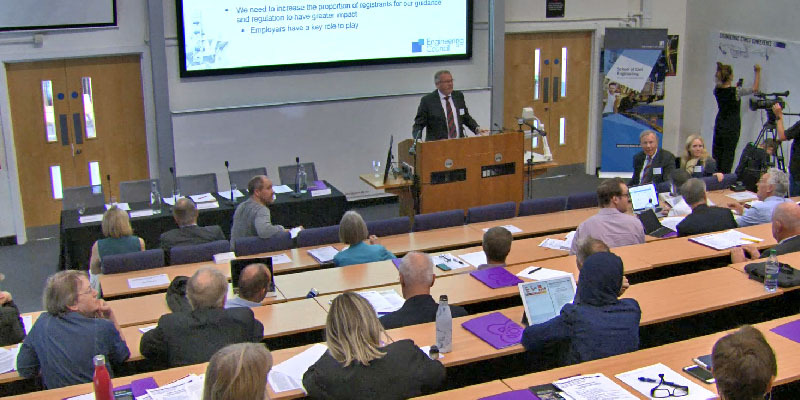 Video: Engineering Ethics CPD – online or face to face?